do hello products help with sensitivity? hello® sensitivity relief fluoride toothpaste with coconut oil is gentle and effective. it relieves sensitivity pain, gently whitens teeth and is thoughtfully formulated with moisturizing coconut oil, soothing aloe vera, and other thoughtful ingredients while helping to prevent cavities and protect enamel. hello® sensitivity relief fluoride toothpaste contains the maximum FDA-approved amount of potassium nitrate, which naturally desensitizes tooth nerve endings and reduces tooth sensitivity. sensitivity pain should diminish within two to four weeks of brushing. do hello products protect enamel? yes, when used as directed and intended, brushing with all hello® fluoride toothpastes can help protect enamel. hello, in tandem with third party labs, conducts relative dentin abrasivity tests (RDAs) that show hello fluoride toothpastes and hello fluoride free toothpaste in natural sweet mint both gently remove tooth stains without damaging enamel. is your activated charcoal toothpaste abrasive on enamel? our activated charcoal toothpaste is much less abrasive than charcoal powder and is well within the ISO standard for enamel safety. happy enamel, happy brushers. do hello products prevent cavities? yes, all hello® fluoride toothpastes meet the FDA anticavity monograph for fluoride, which has proven efficacy for preventing cavities. in addition, a select group of hello fluoride toothpastes have been tested by both the ADA and at third party labs and have been proven safe and effective at preventing cavities. hello uses similar or identical fluoride systems across all our fluoride toothpastes. we continue to explore getting all our fluoride pastes “ADA accepted” which involves individual and lengthy testing to qualify. do hello products control tartar? hello® doesn’t offer a tartar control product at this time, but we’ve been thinking about it. let us know if this is something you’d be interested in at [email protected]. do hello products freshen breath? yes, at hello® we think it’s friendly to be fresh. we’ve made our toothpastes both delightful for your taste buds and your breath, helping you and everyone around you enjoy a breath of fresh air. do hello products remove plaque? yes, brushing with all hello® toothpastes as directed and intended can help with the physical removal of plaque. how do hello products whiten teeth without peroxide? peroxide can cause sensitivity. we’re always looking to use the friendliest ingredients we can find, and that’s why when it comes to whitening there’s no peroxide in our products. hello® toothpastes contain thoughtful ingredients like hydrated silica and calcium carbonate that help to polish teeth and gently remove surface stains. do hello products whiten teeth? yes, hello® toothpastes have hydrated silica which helps gently whiten your teeth without bleach or peroxide. for those looking for extra pearly whites, we recommend using hello extra whitening fluoride toothpaste, which has a boost of calcium carbonate, along with an extra dose of hydrated silica, for polishing and to gently whiten teeth. are hello toothpastes and mouthwashes recommended by dentists? do hello products protect against gingivitis? brushing with all hello® toothpastes as directed and intended can help with the physical removal of plaque, the precursor to gingivitis. why can’t I find hello products at my store? help us right this grave injustice of the universe, and spread the friendly! tell us where you’d like to see our products at [email protected], and please feel free to let your local store manager know about us. as an independent, entrepreneurial company, we really appreciate your support—thanks! here at hello®, we work hard to create products that are effective, delicious, and made as naturally as we can make them. we also work hard to make sure our customers always #brushhappy, if you’re not 100% satisfied with a product you purchase on hello-products.com, you have 30 days to return it for a replacement or a refund. we give a spit about your experience with hello, and want you to be super-happy, so we handle customer service requests on a case-by-case basis, please reach out to us at [email protected] for any questions, returns, refunds, or just to say hello. thanks! 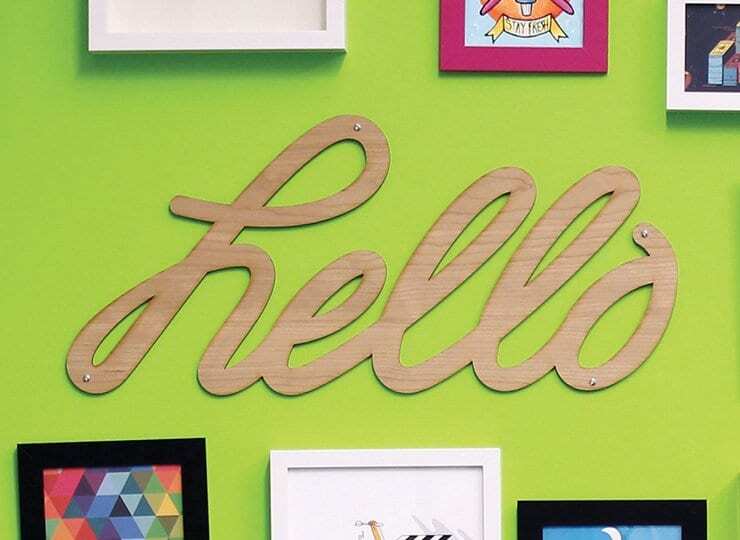 where can I find hello products? hello® products can be found in-store at great retailers across the U.S. please check out our store locator to find a store closest to you. you can also purchase hello through great e-tailers like Amazon, Jet.com, Walmart.com, Target.com, and through our own helloproducts.com store. how much do hello toothpastes cost? the suggested retail price for hello toothpaste varies based on ingredients and tube size, ranging from $3.49 for our kids offerings to $5.99 for our sensitivity relief fluoride toothpaste with coconut oil. we’ve worked hard to make hello as affordable as we can—it’s naturally friendly™ for all, which means it’s for the 100% and not the 1% if you catch our vibe. can I use hello products for cleaning and for acne? we love all the clever toothpaste hacks out there, but we recommend you save every squeeze from the tube for your teeth. trust us, your teeth and taste buds will thank you. do you offer a toothpaste for children under two years old? we created hello® toddler training toothpaste for little ones 3 months to 2 years old. The organic apple flavored gel keeps little teeth and delicate gums clean and strong. Plus, it’s safe if accidentally swallowed by kiddos just learning to brush. what is the shelf life of hello toothpastes? hello® toothpastes have a shelf life of two years. that said, once you give them a try and take your taste buds for a spin, we know you’ll rush to brush and be on your next tube of hello well before two years. what does the PETA certification mean? the PETA “Cruelty Free and Vegan” certification verifies we are cruelty free and make the friendliest choice to not test on animals. it also confirms our products are vegan and do not contain animal byproducts. what is palm kernel oil? why do you use it? palm kernel oil is derived from the kernel of the palm plant and is one source of our glycerin. all hello® products containing glycerin may contain sustainably-sourced palm kernel oil as our glycerin is made from one or more of any five oils at a given time. we use glycerin as a moisturizer to enhance the mouthfeel of our pastes. what is sodium cocoyl glutamate? why do you use it? 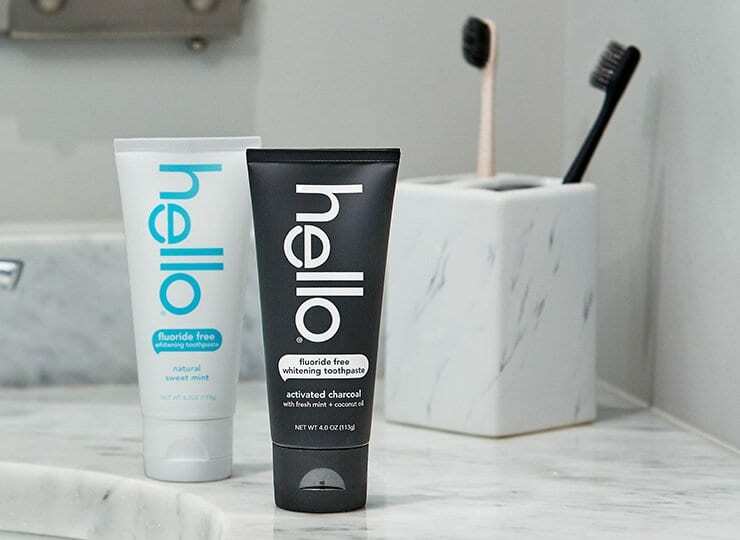 hello® uses sodium cocoyl glutamate that is made from coconut and/or palm oils as a surfactant, a technical way of saying it helps toothpaste foam and spread out while you brush to cover the various crevices of your teeth. and you thought nooks and crannies were just in English muffins. what is sodium lauryl glutamate? why do you use it? sodium lauryl glutamate is a sodium salt that is made from coconut and/or palm oils, and it’s used as a gentle cleanser for your teeth and gums. what is the difference between purified and regular water? it’s more friendly to use purified water, which has impurities removed or reduced. what is coconut oil? why do you use it? coconut oil is extracted from mature coconuts. downright sophisticated coconuts, if you ask us. hello® uses coconut oil powder in our sensitivity relief fluoride toothpaste to sooth and moisturize your mouth. additionally, coconut oil is one of the sources of the glycerin found in all our pastes. what is stevia rebaudiana leaf extract? why do you use it? hello® uses stevia rebaudiana leaf extract from sustainably farmed stevia plants to enhance the taste of our pastes. and let’s face it, who doesn’t want enhanced tasty paste, right? what is potassium sorbate? why do you use it? the majority of personal care products need preservatives. at hello, we use a tiny amount (only when necessary) to keep our fluoride free toothpastes fresh. while potassium sorbate is a synthetic salt derived from sorbic acid, it is approved for use by the Whole Foods Premium Body Care seal and the Handbook of Green Chemicals. what is titanium dioxide? why do you use it? titanium dioxide is a naturally oxidized fine white powder from ilmenite ore. it helps our toothpastes stay bright white in place of using synthetic dyes. and if you’re surfing around the interwebs concerned about titanium dioxide nanoparticles, please know hello does not contain any titanium dioxide nanoparticles, which are different than titanium dioxide. what is calcium glycerophosphate? why do you use it? calcium glycerophosphate is a mineral supplement and a source of calcium and phosphates. it is used in our toothpastes to raise the pH balance in your mouth to buffer the negative effects of sugar or acids on your teeth. what is lauryl glucoside? why do you use it? hello® uses lauryl glucoside made from non-GMO corn, coconut or palm oil. it is a surfactant, a technical way of saying it helps our toothpastes disperse and remove food particles on your teeth. if you meant to save a little bit of your meal by keeping small particles of it on your teeth for snacking later, you may want to consider not brushing. yes, we’re kidding, you should always brush after meals. what is xanthan gum? why do you use it? xanthan gum is derived from corn fermentation and is a common ingredient in gluten-free baking and personal care items since it’s a great thickener and stabilizer. and let’s face it, who doesn’t like their paste thick and stable? what is erythritol? why do you use it? erythritol is a sweetener derived from corn fermentation. like xylitol, erythritol helps prevent bacteria from sticking to your teeth and does not promote tooth decay. drop the mic, but not the toothbrush. what is xylitol? why do you use it? xylitol is a sweetener derived from corn. at hello, we source our xylitol from non-GMO corn. so why do we rock xylitol in all of our pastes? 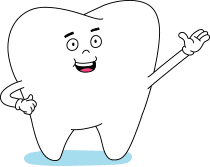 well, unlike some sweeteners we won’t name because we’re friendly like that, xylitol helps prevent bacteria from sticking to your teeth and does not promote tooth decay. is aloe vera gel safe for your mouth? yes. hello uses aloe vera gel, which is contraindicated with pregnancy, but toothpaste is generally not consumed. it is always best to consult your doctor if you are concerned. what is aloe vera gel? why do you use it? aloe vera gel comes from the aloe plant and, while best known for sunburn relief, it’s actually a great moisturizer for your mouth as well. if your mouth gets a suntan, please send us a pic. teeth with a tan line sounds like an insta-worthy opportunity. what flavors make up your supermint flavor? supermint turns mint into minteresting. its cool impact comes from a proprietary blend of mint, peppermint, and spearmint, as well as other essential oils to create a strong, minty taste that’s simply, well, super. what flavors make up your soothing mint flavor? if there’s one type of mint we don’t dig here at hello, it’s punishmint. so when we decided to make a paste for folks who experience sensitivity issues, it had to taste awesome and help alleviate the discomfort a lot of folks feel when it comes to their tooth sensitivity. we wanted to make teeth feel fab, but we didn’t want to ignore anyone’s taste buds in the process…so unlike other sensitivity pastes, hello’s tastes awesome. our soothing mint flavor includes a blend of peppermint, spearmint and wintergreen oils, as well as other essential oils to create a balanced, soothing taste without the bitterness that other sensitivity pastes leave behind. if you give our sensitivity relief paste a try, your teeth and taste buds will thank you. oh, and so will we: thank you! what flavors make up your pure mint flavor? for maximum enjoymint (see what we did there?) our pure mint flavor includes peppermint, spearmint, a touch of vanilla, and other essential oils to create a balanced, minty flavor. what flavors and essential oils make up hello’s natural sweet mint flavor? our natural sweet mint flavor includes peppermint, spearmint, a touch of vanilla, and other essential oils to create a balanced, minty flavor that’s got that Goldilocks/just right thing going on—it’s not overpowering or underwhelming, it’s minty freshness is all sorts of just right. is real watermelon used in your natural watermelon flavor? we use real watermelon extract in our flavoring, along with orange oil, spearmint and other essential oils to balance the flavor. and don’t worry, it’s seedless (nothing but the best for our happy brushers). is real bubble gum used in your bubble gum flavor? as much as we wish it did, bubble gum doesn’t grow on trees, so no, we use a mixture of flavorings including orange and grapefruit oils to ensure there’s a strong, balanced bubble gum flavor your kids will love. even adults love our bubblegum flavor, and no worries, if you’re one of them, we don’t judge, and we’ll never tell. Loose lips sink ships, and may even cause potential cavities. is it real blue raspberry flavor? we’re still looking for an actual blue raspberry bush; when we find it, it’s going to make for one incredible Instagram post, that’s for sure. that said, our blue raspberry flavor does contain raspberry extract, as well as a secret blend of other natural flavors that give it that magical, mystical, blue raspberry vibe and flavor kids (and a whole bunch of adults) totally love. a big part of our awesomeness comes back to our how our naturally friendly™ pastes taste…and that magical taste is all about the flavors we’ve created. at hello®, we use natural flavors from extracts and essential oils to make our toothpastes and mouthwashes taste delish. we understand that just seeing the word “Flavor” on a list of ingredients can be a bit confusing; the flavor mixes of the oils we source are proprietary, but not artificial. gotta keep some of the secret sauce a secret if you know what we mean. if you are allergic to specific essential oils, please write us at [email protected] to ensure the hello product you’ve selected or are thinking about rocking is right for you. what is calcium carbonate? why do you use it? calcium carbonate is a mineral that removes stains and gently whitens teeth. we use it in our extra whitening fluoride toothpaste, and it works wonders. what is hydrated silica? why do you use it? hydrated silica is a powder made from a crystallized compound found in sand and quartz. we use it to polish your teeth and remove stains in a gentle way. why don’t you make all your toothpastes sls/sulfate free? fear not, we’re already making it happen! right now, a majority of our product line is already sls/sulfate free, and we’re in the process of removing this ingredient from the rest of our products. in the interim, please keep the steak knives as our gift. why are your fluoride toothpastes preservative free and not your fluoride free varieties? fluoride has antimicrobial properties, helping maintain the freshness of our fluoride pastes. our fluoride free pastes need a touch of potassium sorbate—a naturally-occurring product—to help maintain stability. can hello products be recycled? hello® boxes are made from FSC Certified paper, and are 100% recyclable. our mouthwash bottles and caps are also recyclable, and made with PCR (post-consumer regrind). please follow your local county’s recycling practices, it’s good karma. are hello products made of recyclable materials? hello® toothbrush handles are made with 70% plant-based materials, and our boxes are made with FSC Certified paper. hello® packaging is not biodegradable, but please know we’re always on the lookout for alternative packaging materials. are hello products made in the USA? yup. hello® products are made in the USA with globally sourced ingredients. yes, all hello® packaging is BPA-free. it’s the friendly way to be. does hello packaging contain latex? no, hello® packaging does not contain latex. we’re friendly, but not that friendly. what is hello’s packaging made of? 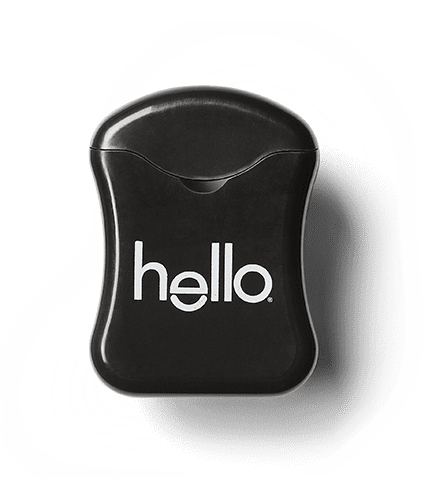 hello® makes its tubes and caps from plastic. our boxes are made from 100% recyclable paper certified by the Forest Stewardship Council. we also use soy-based ink on our boxes. if hello is a “Made in the USA” company, why does it source global ingredients? why not just domestic? hello® is obsessed with providing a high-quality experience to anyone who tries our products. from the touch and feel of our tubes to the flavors of our pastes, we source thoughtful ingredients and components from high quality providers. for example, our xylitol is made in China as it is one of the only places in the world that offers a non-GMO option. plain and simple, we’ll go wherever we need to in order to find the most thoughtful ingredients we can. and we’ll sit in the middle seat right next to the lavatory on a packed jet if that’s what it takes, because if you’re reading this deep, you know we really do give a spit. where is hello’s charcoal from? hello® uses charcoal sourced from Mexico. where is hello’s aloe vera gel from? hello® uses aloe vera gel from Mexico. where is hello’s erythritol from? hello® uses erythritol made from non-GMO corn from China. where is hello’s stevia rebaudiana leaf extract from? hello® uses stevia rebaudiana leaf extract made in China from the stevia plant sourced in Latin America. where is hello’s potassium sorbate from? hello® uses potassium sorbate from China. and no, sorbate is not a distant cousin of sorbet. where is hello’s titanium dioxide from? hello® uses titanium dioxide made in Finland using ilmenite ore from Canada and Norway. cold places make some really hot titanium dioxide, right? where is hello’s calcium glycerophosphate from? hello® uses calcium glycerophosphate from France. we’d love to pick up some pain au chocolat next time we’re in France, let us know if you’d like to join us. where is hello’s sodium cocoyl glutamate from? hello® uses sodium cocoyl glutamate made in Japan using coconut and/or palm oils from Malaysia and the Philippines. where is hello’s cocamidopropyl betaine from? hello® uses cocamidopropyl betaine made in Germany from palm kernel oil derived from sustainably sourced palm from Malaysia and Indonesia. where is hello’s fluoride from? hello sources its sodium fluoride from Taiwan. where is hello’s coconut oil from? is it Fair Trade? hello® uses coconut oil made from Fair Trade, non-GMO coconuts from Malaysia and the Philippines. where is hello’s sodium lauryl glutamate from? hello® uses sodium lauryl glutamate made in Japan using coconut and/or palm oils from Malaysia and the Philippines. where does hello products source its xylitol? has hello products tried any other oil aside from palm kernel, such as coconut or canola? yes, based on availability, our glycerin can be made with soybean, palm, palm kernel, canola or coconut oil. we source and use a high-quality oil blend to meet our equally high product standards. hello® uses sustainably sourced palm kernel and palm oil from Malaysia and the Philippines to make our glycerin, sodium lauryl sulfate and lauryl glucoside. sustainable ingredients matter, they make us really happy, and we try to use them whenever possible. where is hello’s glycerin from? hello® uses glycerin made in the United States from canola, palm, soy, coconut or palm kernel oil sourced from Malaysia and the Philippines. our supplier is part of the Roundtable for Sustainable Palm Oil. being eco-friendly, hello wants to reduce the negative impacts of palm oil cultivation on the environment and communities. where are hello’s flavors from? hello® uses flavors made in the United States from extracts and essential oils thoughtfully sourced from all over the world including the United States, India, Mexico and China. people the world over have amazing taste buds and flavors, and we love to tap into that kind of global magic. where is hello’s lauryl glucoside from? hello® uses lauryl glucoside made in the United States using corn, palm and/or coconut oil from Malaysia and the Philippines. where is hello’s hydrated silica from? hello® uses hydrated silica from the United States. where is hello’s xanthan gum from? hello® uses xanthan gum from the United States. where is hello’s sorbitol from? hello® uses sorbitol from the United States. where is hello’s calcium carbonate from? hello® uses calcium carbonate from the United States. where is hello’s water from? hello® sources its water from upstate New York—where you find some of the best water on earth. some say it’s this same water that makes New York City’s bagels so special, and what it does for our products is nothing short of awesome. where does hello products source its ingredients from? hello® sources high quality, thoughtful ingredients from all over the world. we’re always on the lookout for thoughtful ingredients that we can source responsibly, and sometimes the best ingredients are only found outside of the US. luckily, we know how to pack a killer carry-on and we love airplane food, so the constant search for awesome, thoughtful ingredients is a really fun part of the job. you flatter us! are we hiring? let’s put it this way: we are trying to create the friendliest, most dynamic company in the world, and companies are all about the people behind them. if you’re ready to help us make a friendly DENT in the DENTAL universe,, then yes by all means, let’s talk! email us at [email protected], let us know what you’d like to do, why you’re the person to do it, why it will help us elevate the everyday and make people smile, and oh yeah, what your favorite hello product might be, and let’s go from there. and if you’re musically inclined and want to send us a jingle, that would be cool, too. we look forward to hearing from you. i’m with the press and looking to speak to someone at hello. hello, friendly media person! we’d love to chat with you! please contact our BFF Danielle at Daniel[email protected], and she’ll get us all hooked up for some coffee-talk, followed by a pleasant brushing session to eliminate any potential coffee breath. i’m a blogger looking to review your products. who do I speak to? thanks so much for your interest in reviewing hello®. we love when people take our products out for a spin, so please fill out this form and our team will be back in touch soon. how can I become a retailer/distributor? this is one of our favorite questions, and we’re so happy to have a good answer. if you’re interested in carrying or distributing hello, please send an email to [email protected], our friendly SVP of Sales. how much plaid do your employees wear? a whole lot for some reason. over the past 5 years, we think we’ve seen Craig wear 2 solid-colored shirts, and we’re still debating whether or not one may have been tucked in. where is hello products based? hello® is based in the heart of Montclair, N.J. fun fact: our office was a former billiards hall/den of iniquity that we converted into an open concept loft. get in touch and let us know if you’d like to come by to say hello. how many people work at hello? right now, we have a small, independent, entrepreneurial crew of twelve. you can learn more about each of us at www.helloproducts/our-people. the founder of hello®, Craig Dubitsky, is serious about being friendly. as we’re on a mission to put the personal back in personal care, he believes it’s important to be able to connect with people in real time. We love hearing from brushers from all over the world, so feel free to ping Craig any time. unless he’s at a regular teeth cleaning/checkup, on a plane, in a team meeting, with a retail partner, or on a stage, he always picks up. is it true your dog is the Chief Greeting Officer? yup, it’s true, we have a CGO. Harbor, our company dog, is our first office greeter and calming cuddler. and for the record, Harbor is a she-dog, and you can connect with her on LinkedIn (include link). how do you ideate and create your products? like everything at hello®, product ideas are a team effort, and we all share what we’d like to see in the world…or at least in our mouths and our bathrooms. 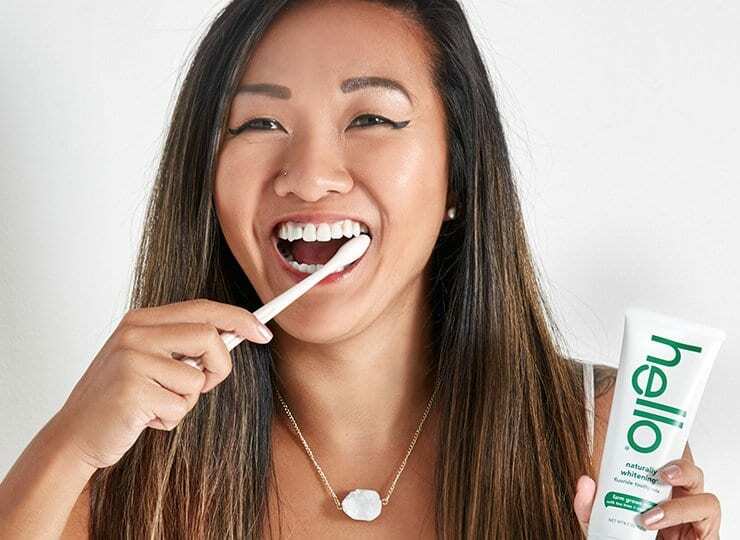 for example, we noticed the trend of people using oil pulling techniques to clean their teeth and wanted to give a nod to the practice in a hello toothpaste variety. using our guiding principles of making products that are thoughtful, effective, and delightful, Connie, our amazing R&D lead, figured out that coconut oil’s moisturizing properties would be the perfect ingredient in our new sensitivity relief fluoride toothpaste with coconut oil. we all love getting a team email from Craig at some wild hour of the night about some new product idea that popped into his head, or a sketch for a new pack design from Matt, our creative lead, which fortunately tends to come at a more civilized hour while we are all in our loft-like office/creative studio. we also find inspiration from museum and art gallery visits, foreign travel, retail safaris, and all kinds of personal stories…and lots of dreams. hello’s first product was developed in 2013 by a small, passionate crew, using thoughtful, effective ingredients. people were so excited for our naturally friendly™ paste, we were on the shelf at national retailers in just six months from product inception. we’re not only friendly, we’re pretty darn fast, too. is it true you trademarked hello? yes, we did. hello is a registered trademark now. crazy, right? big ups to our trademark and IP legal counsel, you all rock. why are you called hello? we thought oral care was unfriendly, and we thought ‘hello’ was the friendliest word around. for us, hello is about a lot of things, from how we source our thoughtful ingredients to how we treat each other inside and outside of the office. friendly is an idea and a set of ideals around how we want to be as people, as a company, and as a provider of responsible products we feel lucky enough to interact with every day. we’re a new kind of naturally friendly™ oral care, created by a small, passionate crew using thoughtful, effective ingredients so delicious you’ll rush to brush. we believe in a brusher’s right to choose, so we’ve created toothpastes, mouthwashes, and toothbrushes to meet all kinds of needs and tastes. our product line covers adults, kids, and toddlers; whitening and sensitivity relief, fluoride free and more so you can choose friendly™ with ease. is your activated charcoal toothpaste safe for everyday use? absolutely! while formulating our activated charcoal toothpaste, it was one of our top priorities that our paste wasn’t only effective and delicious, but also very gentle and safe for everyday use. all of our toothpastes are well within the ISO standard for enamel safety. do hello products contain tea tree oil? yes, we use tea tree oil in hello® naturally whitening fluoride toothpaste, hello® antiplaque and whitening fluoride free toothpaste, and hello® activated charcoal extra freshening mouthwash to keep your breath fresh and friendly. do hello products contain citrus? hello® kids fluoride toothpaste in bubble gum and hello® kids fluoride free toothpaste in natural watermelon contain citrus oils to bring out the most from the delicious watermelon and bubble gum flavor. if you have an allergy to citrus, consult with your doctor to determine if hello products are right for you. do hello products contain flavors? yes, all hello® toothpastes contain natural flavors to ensure great taste. artificial flavors are, well, artificial, and artificial is not exactly what we’re going for. the glycerin used in hello® products is made from canola, palm, soy, coconut or palm kernel oil. our supplier has verified that once they make the glycerin, all soy protein is removed. if you have a severe soy allergy, however, we recommend consulting your doctor before using hello® products. safety first, always. yes, hello® products are dairy free, vegan and do not contain any animal byproducts. yes, hello® products are vegan and do not contain any animal byproducts. hello® products do not contain any sources of gluten, and we are in the process of becoming fully certified to confirm no traces of gluten are found in our manufacturing facilities. do hello products contain tree nuts? hello® toothpastes have many ingredients derived from coconut oil. if you have an allergy to coconut, we suggest you avoid all of our toothpastes. a brusher’s safety is always our main concern, so if you have an allergy to tree nuts, please use an alternative to hello that you are more comfortable with. if you can’t find a paste that’s working for you, please let us know and we’ll do our best to identify another brand that might safely do the trick for you. who should I speak to if I’ve had an adverse reaction to your product? if you are currently having an adverse or allergic reaction, please seek immediate medical attention. discontinue use of our product immediately until you consult with your doctor. you can also contact us at [email protected]. are hello products safe for use with orthodontic appliances (braces, etc.)? the ingredients in hello® toothpastes should not cause any damage to dental or orthodontic hardware. so rock on, metalheads, and brush friendly. can I use hello products while pregnant? consumption of aloe vera gel, which is present in our sensitivity relief fluoride toothpaste and our fluoride free toothpastes, is not recommended during pregnancy. though toothpaste is not intended to be consumed, it is always best to consult your doctor if concerned. as we say all the time to our own families: always better to err on the side of caution. a brusher’s safety is always our main concern. what should I do if I ingest hello products? if you accidentally swallow more of our fluoride toothpaste than the amount typically used for brushing, get medical help or contact a Poison Control Center right away. if you ingest a fluoride free toothpaste, you will likely not experience any issues, but consult your doctor if concerned. we know hello tastes awesome, but please, don’t eat it. if you’re looking for a great recipe, skype our founder, Craig, and he’ll hook you up. can I swallow hello toothpaste? hello® products are designed for brushing your teeth, not for consumption. let your teeth and taste buds savor the flavor, not your stomach. are hello products safe for children? yes, absolutely. parents should always supervise their children’s brushing. our hello® kids fluoride free toothpaste in natural watermelon and our toddler training toothpaste in organic apple are safe for children of all ages if accidentally swallowed while brushing. of course, the product is safest when used as directed and intended. hello® kids fluoride toothpaste in bubble gum and blue raspberry are most appropriate for children over the age of two and when used as directed and intended. however, we recommend consulting with your dentist to determine if a fluoride toothpaste is the right choice for your little one. a resounding YES. safety and efficacy are of the utmost importance to us. hello® toothpastes are formulated in accordance with FDA requirements and manufactured in facilities that meet the FDA’s Current Good Manufacturing Practices (CGMPs) requirements. for a majority of our fluoride offerings, we’ve done third party testing that demonstrated our pastes are effective at removing stains while being gentle on your teeth. these tests are called PCRs (pellicle cleaning ratios) and RDAs (relative dentin abrasivity) – more information can be found at helloproducts.com/professionals. we take pride in our commitment in using thoughtful, effective ingredients that taste awesome. like any product, please use as directed and intended – and only on humans.